(LWI) - The Reformation is ongoing. Commemorating the 500th anniversary of the Reformation has made an impact on LWF member churches. Across the communion, they marked the occasion with diversity and colour, reflecting the flavour of the communion and church life in each region. 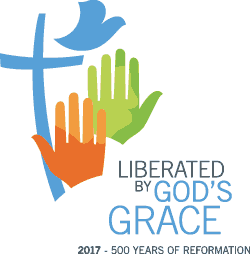 Through church services, festivals, concerts, exhibitions, apps, media coverage and commemoration services with ecumenical partners, Lutherans told the story of the Reformation and life of the churches in creative and inspiring fashion. In interviews with the Lutheran World Information, the seven vice-presidents of the LWF, reflected on the events of the anniversary year and the commitment to ongoing reformation. In Estonia, the planting of 500 apple trees “means we can't close church and church life inside the walls but we need to be, as a church, where people are,” Archbishop Urmas Viilma, of the Estonian Evangelical Lutheran Church, and vice president of Central Eastern Europe says. In one instance a German church collaborated with Catholic partners to prepare a celebration of Christ, emphasizing unity above division, says Central Western Europe vice president Pröpstin Astrid Kleist, of the Evangelical Lutheran Church in Northern Germany.